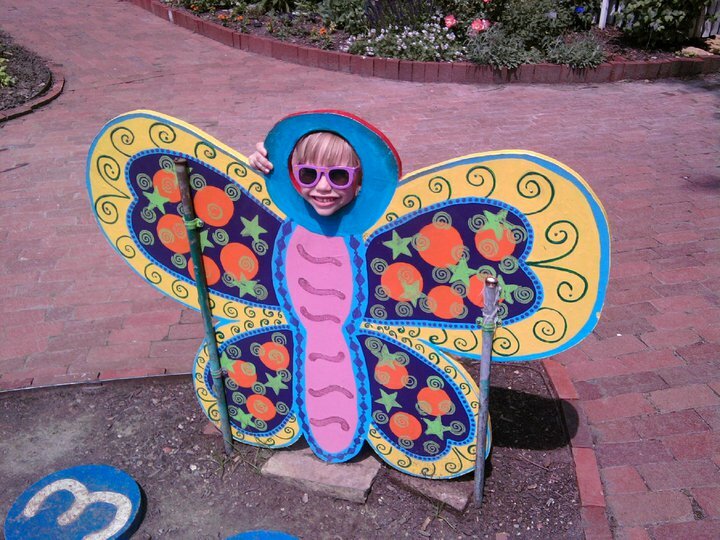 Butterflies Are Free … But Hearing Aids Sure Ain’t! My first set of hearing aids were purchased in 2003. They weren’t cheap, and my insurance company didn’t help with the bill. But my credit card company was happy for the next six months it took me to pay off the hearing aid charges. Why are these behind-the-ear devices that are so vital to Lipreading Mom’s way of life a major financial headache? For the record, a $5,000 fee for a set of digital hearing aids doesn’t just include the contraptions worn behind the ears. A “bundling” of services are included with that price tag: annual or semiannual hearing tests, professional fittings with an audiologist, computer programming of the aids by an audiologist, and minor in-office hearing aid repairs. Does that help explain the reason for paying thousands of dollars on digital gadgets small enough to fit in my 3-year-old Wonder Boy’s pudgy hands? When I take out my expensive behind-the-ear devices during a pleasantly noisy part of the day, I feel disoriented. Lost without those sweet sounds of my little ones singing. My listening world becomes silent, lonely confusion. Which brings Lipreading Mom to her latest gripe: How can people afford hearing aids if they don’t have insurance coverage or credit cards? No magic fairy waves a wand over a silently suffering hard-of-hearing mom and grants her the wish of free hearing aids. No audiologist awards her patience with complimentary hearing devices. No legislator takes money out of his or her checking account and sends that mom a check to cover her audiologist bill. How can a mom be free to hear her children’s voices without the means to pay for her listening ability? My gripe is not about myself but a close mom friend of mine (I’ll call her Abby) who is unable to purchase hearing aids because she can’t afford them. If she were suffering from a debilitating disease, some doctor or charity or good samaritan would come to her rescue and raise funds for her medical needs. Not Abby. She strains to hear her son and two daughters share about their day at school. Abby worries about the demands of her job working with children speaking in hushed voices. She wonders how much longer she can seamlessly function in a world that is becoming softer to her comprised ears. Abby needs hearing assistance to fully engage in this life. Can you help me find a way for Abby to get hearing aids at reduced or no cost? Share your suggestions here. Just found your blog! It was great to meet you, looking forward to getting to know you more and hear more of your story! Thank you so much for your frankness and honesty-I relate to your stories on every level. I, too, was not able to afford hearing aids, and applied through our State’s Disability Resources service. It was a rather drawn out process…but I did qualify for my hearing aids and they were provided for me free of charge. I hope your friend can look into it and have the same outcome! That’s a wonderful story! I’m thrilled that you were able to get your hearing aids free of charge. My friend is wearing a set of hearing aids for a free 30-day trial. At the end of the month, she decides whether she wants to purchase them. The hearing aid provider is working out a payment plan with her, so I believe she will be keeping those hearing aids. God is good! That is good to hear about Abby’s chance for hearing aids! My mom is going through the same thing. She can barely hear anything at all. Insurance doesn’t cover them and she feels they might not help her at all after she spends all that money and she is on a fixed income. I am trying to think of a way to help her. I was so fortunate in that when I applied for help for my vision loss, the state also tested for my hearing loss, and because it was related to RP, paid for the hearing aids. I have often wondered how people, old or young, pay for them on their own. I can definitely relate to the disorientation and confusion without hearing aids. What a blessed difference these tiny devices make! Loved reading your blog entries …! Good for you in helping your mom to get the hearing help she needs. A great organization to look into is the Hearing Loss Association of America (www.hearingloss.org). It provides helpful information on finding affordable hearing aids and services, plus it has a support network of chapters in each state within the U.S. Maybe you could check it out in your home state. Also, Starkey Hearing Foundation has a program called Hear Now. It provides hearing aids to people on fixed incomes. 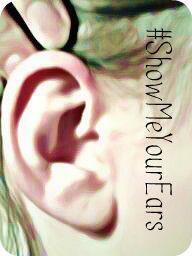 The Web site is http://www.starkeyhearingfoundation.org.